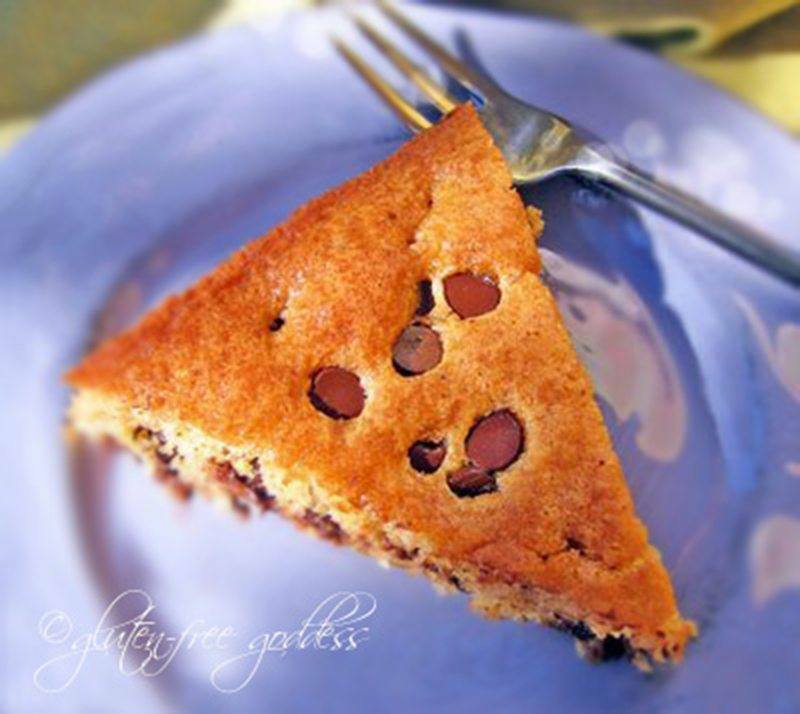 Using King Arthur Gluten-Free Multi-Purpose Flour as the base, you can whip up a fabulous dessert that will keep everyone coming back for more. In addition to the basics like eggs, butter and sugar, you’re going to add xanthan gum and King Arthur Gluten-Free Cake Enhancer, which both act like miracle ingredients to keep your wheat-free batter elastic, soft and moist. If you're interested in jazzing up this yellow cake, you can actually substitute a portion of the milk with a fruit concentrate or puree. This recipe features Pamela's Gluten-Free Baking and Pancake Mix, which houses a blend of rice flours alongside extras such as buttermilk, almond meal, xanthan gum, baking powder and sea salt. Because you’re using such a carefully-crafted mix, you’ll only need to gather a few additional ingredients including vanilla and almond extracts. Note: even though this cake makes use of both parts of the egg, you're going to separate the yolks so you can whip up the whites until they are stiff and then fold them in after everything else is well incorporated. 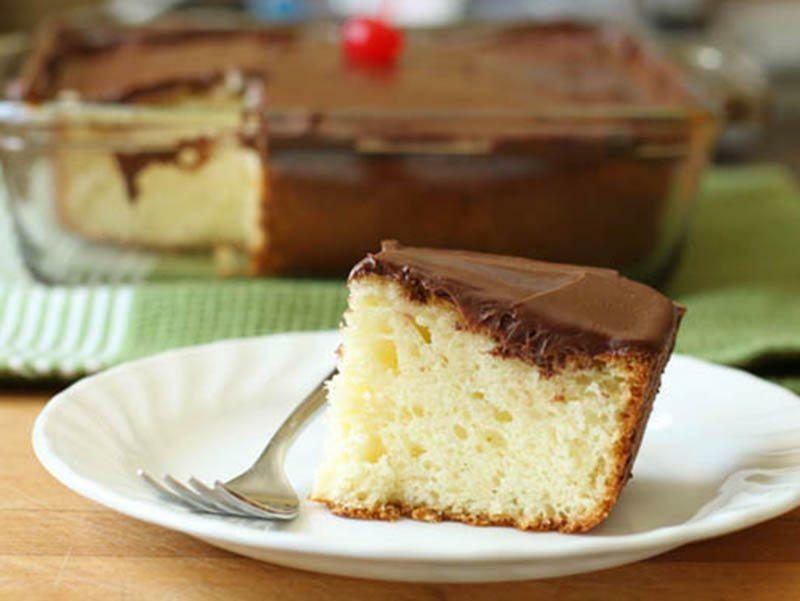 To make the gluten-free version of this cake, Stacie recommends using Cup4Cup’s Original Flour Blend, which contains friendly grains like cornstarch and white rice flour in addition to light ingredients like tapioca flour and milk powder. If you need a dairy-free dessert, pay attention to the optional instructions of using original rice milk and vegetable oil. With Bob’s Red Mill Gluten-Free 1-to-1 Baking Flour, perfection is in reach. The pre-mixed blend contains a variety of grains including sweet white rice flour and sweet white sorghum flour. To mimic the light texture of cake flour, you’re also going to add cornstarch to your cake batter, which you can bake in a traditional round pan or a muffin tin. With this recipe on hand, dense and gummy cakes need not apply. For the base, you'll use a combination of white rice flour, brown rice flour, potato starch, tapioca starch and nonfat milk powder, but what really sets this dessert apart is the fact that melted white chocolate and sour cream go directly into the batter. The resulting flavor is rich while the overall product is still moist and light. 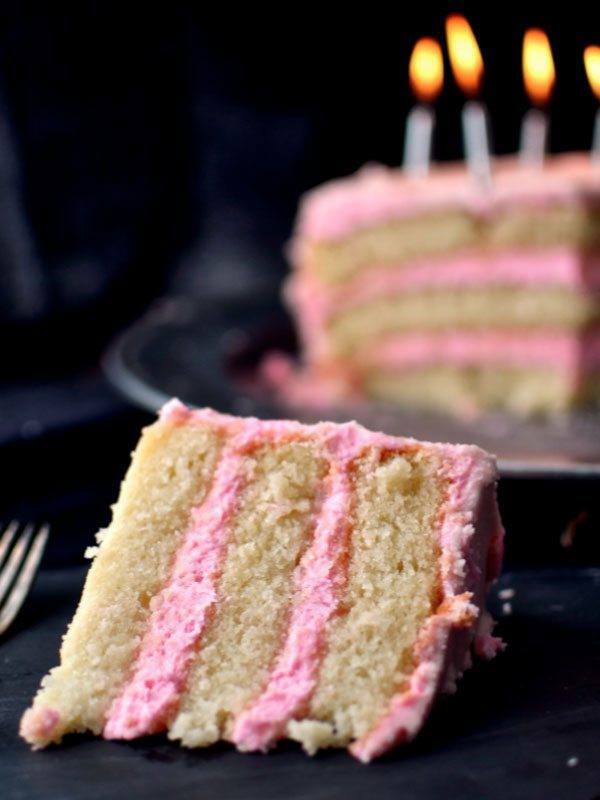 For this masterful cake, you’ll combine coconut flour with brown rice flour, white rice flour, tapioca flour, sweet white rice flour and xanthan gum. As Yammie points out in her comments, you can turn a white cake into a yellow one by tossing in whole eggs. Correspondingly, you’ll want to cut the egg white count in half before substituting whole eggs into your batter. 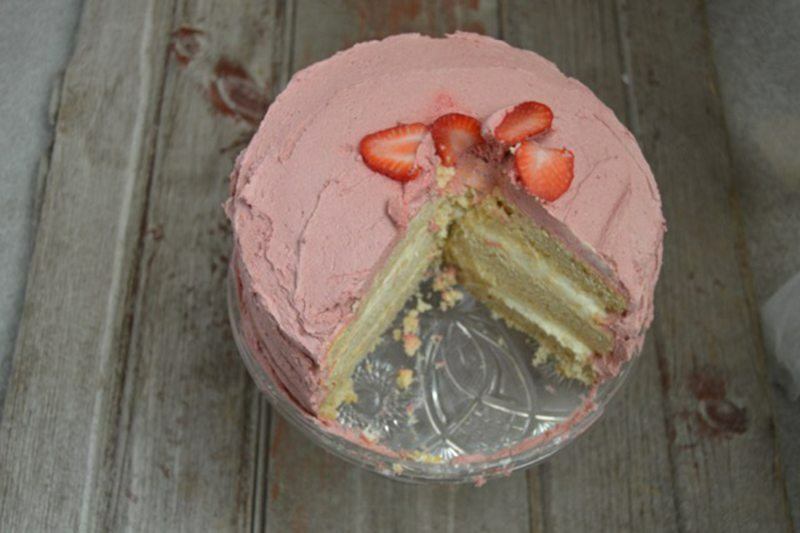 Linda keeps it simple by merging rice flour, potato starch and tapioca starch for this cake’s foundation. 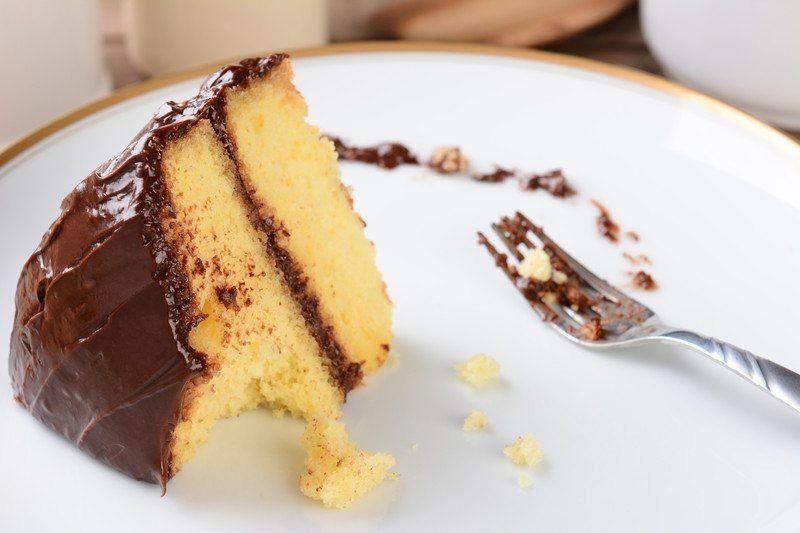 In addition to the core ingredients that flavor the cake including sugar, eggs and butter, you’ll also mix in a few texture-enhancing helpmeets such as baking powder, baking soda and xanthan gum. 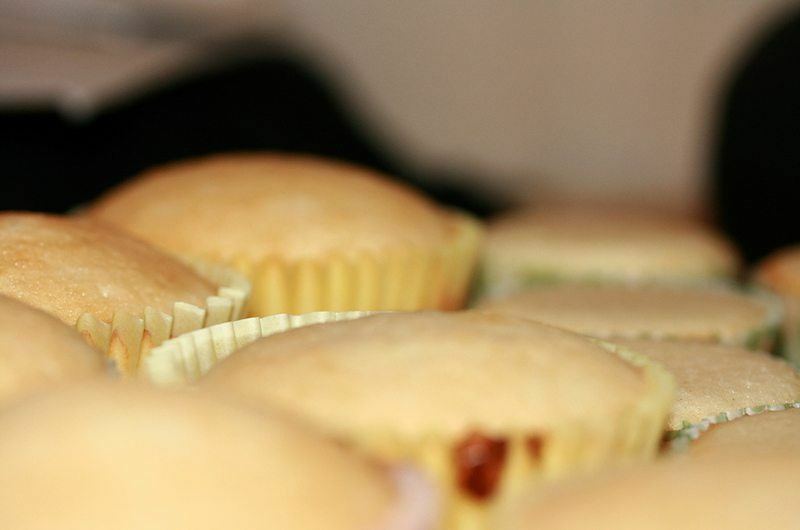 With potato starch and white rice flour, you can get fabulous results. 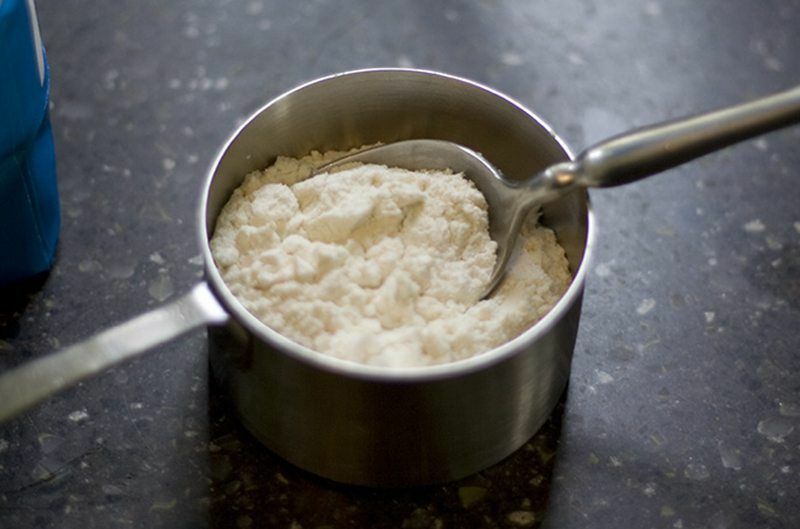 Be sure to throw some xanthan gum and a cup of sugar into the mix before adding your butter, milk, eggs and vanilla. 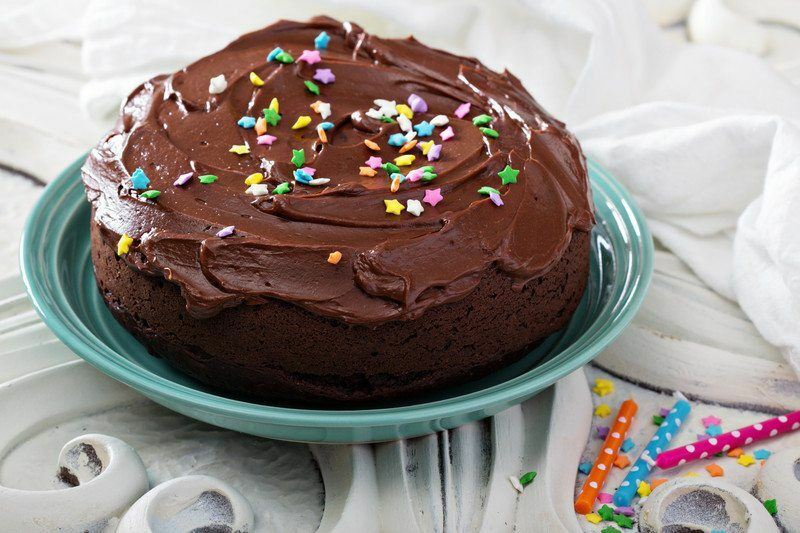 As desired, top your cake using the accompanying recipe for a delicious chocolate buttercream. Here’s a family-friendly dessert made with almond meal. Just add eggs, butter, vanilla bean and a sweetener like xylitol. 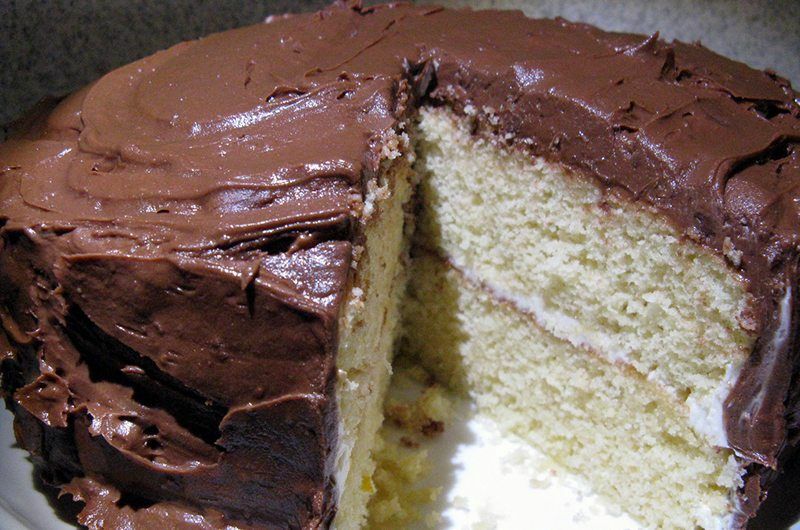 For the frosting, you can use cacao paste and the sweetener of your choice, making sure to freeze the frosted cake until your icing solidifies. Featuring coconut flour, coconut milk, honey, vanilla and a dozen eggs, this scrumptious recipe is free of grains, dairy and cane sugar. If you’re interested, you can add in a teaspoon of a flavoring extract like cinnamon or orange in addition to tossing in half a cup of chopped nuts or minced fruit. Eggs, cream of tartar, organic cane sugar and cassava flour make quite a team when mixed together as cake batter. Just be sure to add the flour in slowly or a culinary dust cloud can easily appear. If you feel so inclined, follow the links embedded in this recipe to make your own cream cheese frosting or Paleo icing. In this recipe, blanched almond flour works side by side with coconut flour for a diversified base. To get a great crumb texture, use at least half a cup of palm sugar before adding in an extra sweetener like stevia. Depending on your preferences, you can toss in some frozen blueberries, a scoop of cinnamon or even some poppyseeds. 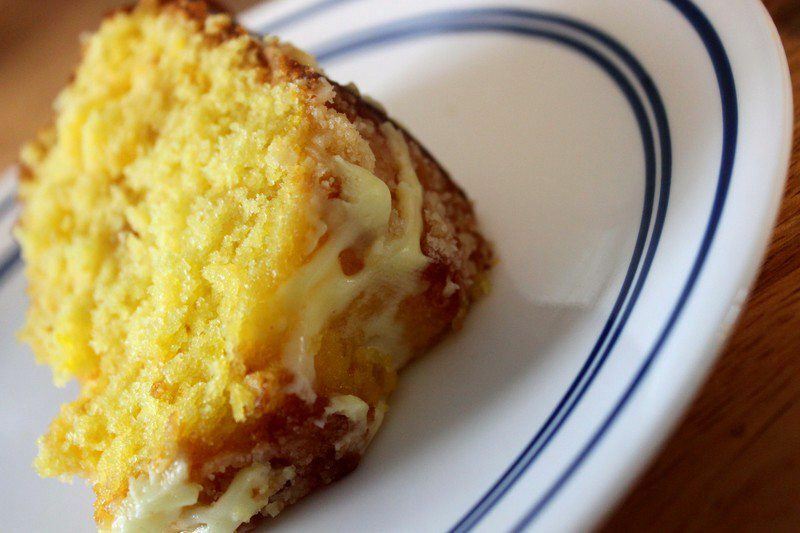 Yes, vegan eaters really can enjoy yellow cakes, too. This pick makes use of a light flour blend featuring superfine brown rice flour, white rice flour, arrowroot powder and potato starch in conjunction with the egg substitute of apple cider vinegar. If desired, follow the links to make your own nondairy milk from hemp seeds or cashews. Surprisingly, you can use aquafaba, the liquid at the bottom of a chickpea can, in place of eggs when making this light and fluffy cake. You'll also want to have on hand blanched almond flour, potato starch, pure maple syrup and applesauce. 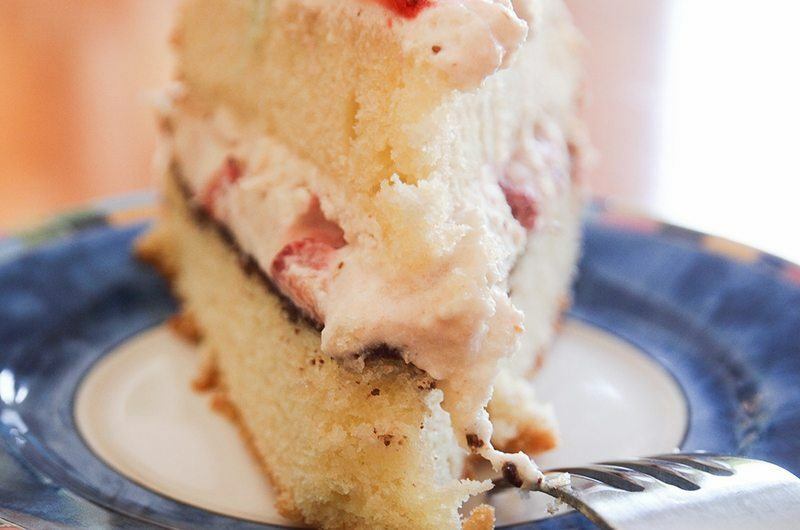 According to your preferences, check out Brandi's recipe for chocolate ganache or strawberry frosting. 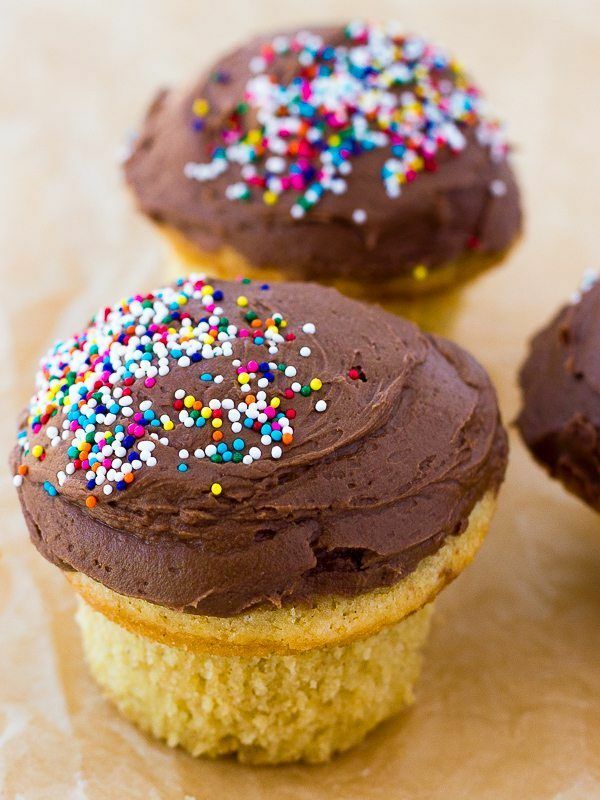 If you want to make a dozen dairy-free, egg-free cupcakes that are actually worth celebrating, this recipe is for you. You’ll mix together Bob’s Red Mill Gluten-Free Flour and cornstarch with apple cider vinegar, soy milk, canola oil, vanilla and a much-appreciated serving of sugar. 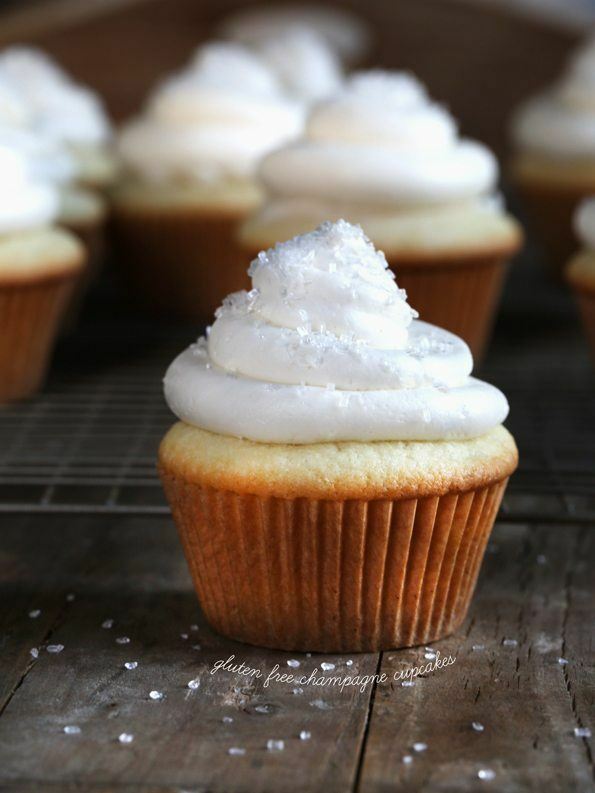 If you're short on time or just feeling lazy, pick up a ready-made jar of frosting from the store and let your guests top their own cupcakes. 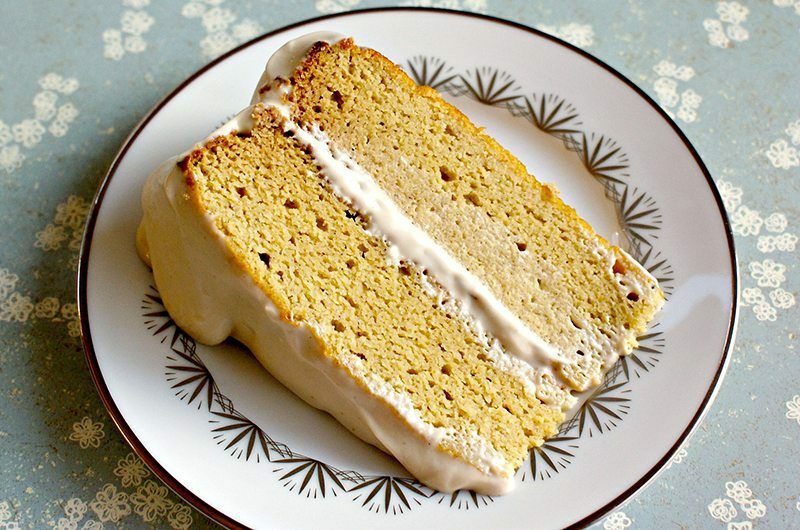 Doesn’t a light and fluffy yellow cake that’s been flavored with ginger ale sound amazing? For the dessert’s base, you’ll combine white rice flour, potato starch, tapioca starch, cornstarch and xanthan gum. For the seven-minute frosting, you’ll combine egg whites, granulated sugar, cream of tartar, unsalted butter and ginger ale, producing a thick and glossy frosting that tastes as good as it looks. This recipe calls for an all-purpose gluten-free flour like Cup4Cup to be joined by dessert basics like granulated sugar, brown sugar and butter. Don’t forget the indulgent extras including vanilla yogurt, whole milk and the guest of honor: rainbow confetti sprinkles. 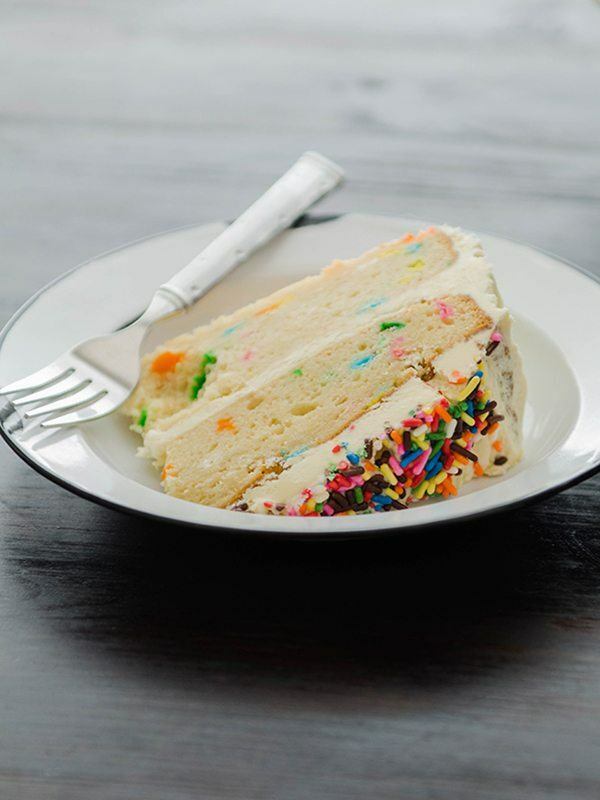 Top the fun and moist cake with a homemade buttercream and a splash of rainbow sprinkles. 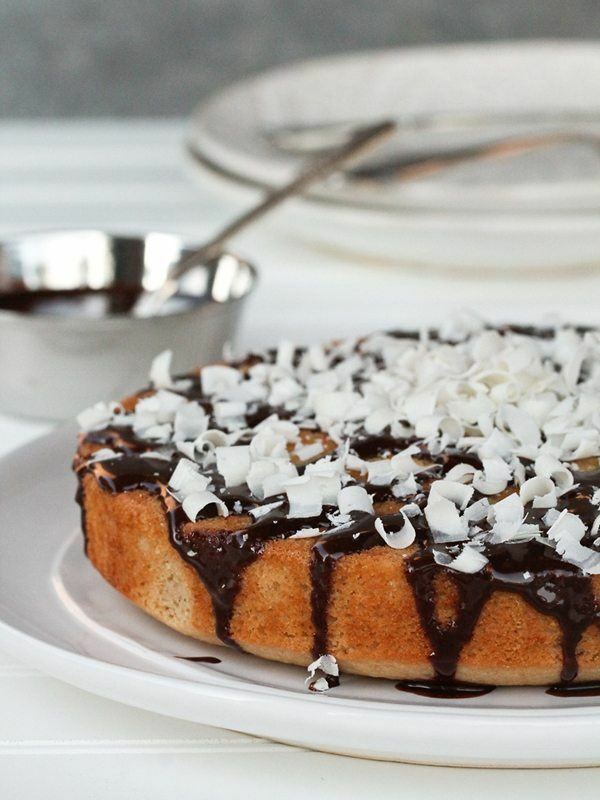 Made with Pamela's Gluten-Free Baking and Pancake Mix, this exciting cake features coconut milk, coconut oil, flaked coconut and coconut extract alongside light brown sugar, organic cane sugar and chocolate chips. If you have a serious sweet tooth, go ahead and drizzle warm chocolate sauce on each slice when serving. 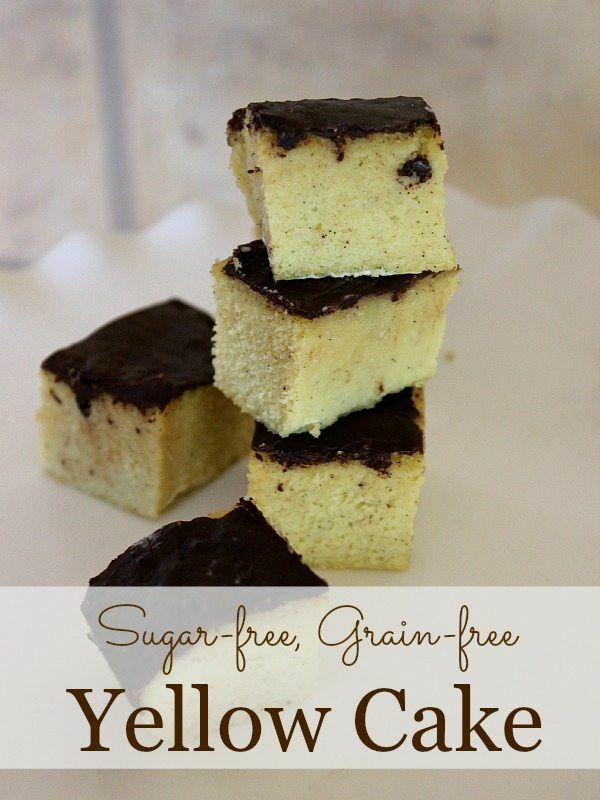 When you want to plan ahead or make a dessert using a recipe that calls for a dry yellow cake mix, try one of these fantastic gluten-free options. They are cost-effective and deliver a great flavor. 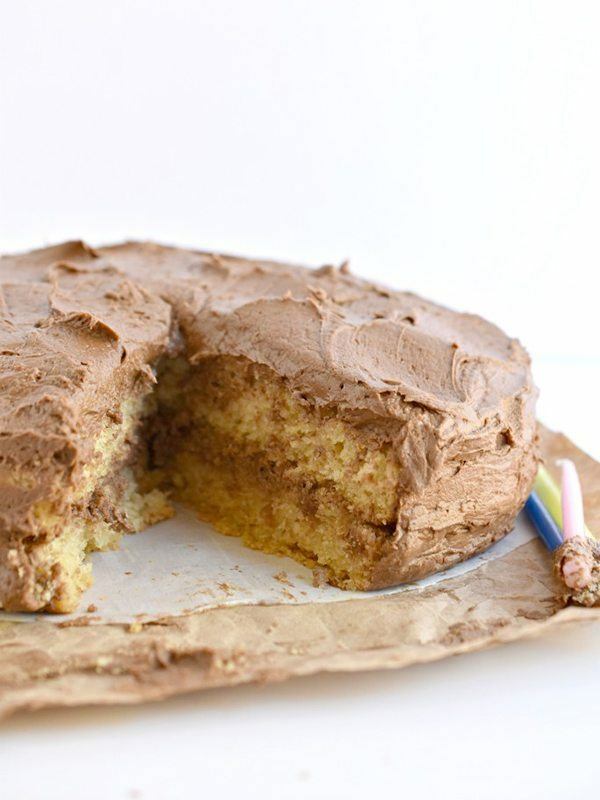 This master recipe can be used anywhere a boxed cake mix is called for. Combine Better Batter Gluten-Free Flour with sugar, baking powder, shortening and salt; it’s really that simple. If you end up wanting to bake the mix into a yellow cake, you’ll just want to add whole eggs, vanilla and milk. Blend brown rice, gluten-free oats and arrowroot starch in a food processor until the mixture has been pulverized into flour. Add ground flax, turbinado sugar, baking powder and salt in addition to cold butter. 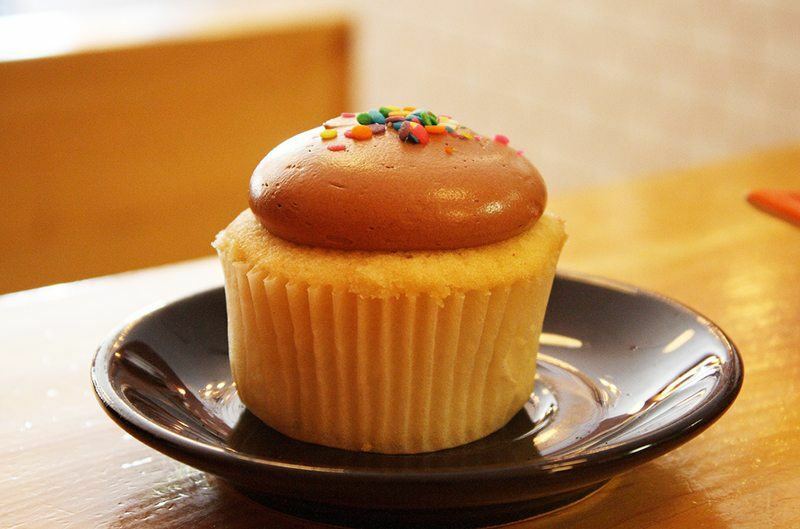 The resulting product can be stored in a sealed bag in the freezer and, if desired, turned into cake batter by adding milk, eggs and vanilla. If you prefer the dessert to be dairy-free, you can use coconut oil and almond milk, which will still produce a tasty treat. If you love cake batter-flavored treats, you're going to love using this mix as your base. Start with an all-purpose flour like Cup4Cup and add oil, cubed butter, sugar, baking powder and salt. 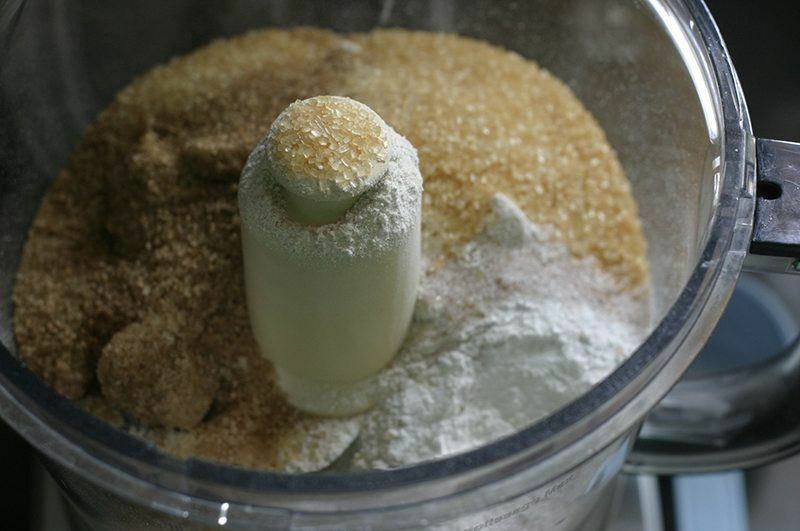 Use an electric hand mixer or a food processor to incorporate the ingredients until a gravel-like texture results. You can store this do-it-yourself mix in the fridge for up to three months. For the dry mix, combine fine brown rice flour with arrowroot or potato starch in addition to sugar, baking powder, baking soda and salt. You’re going to want to add in either xanthan or guar gum as well. Pour your ingredients into a glass jar with an airtight lid, which should keep well in the cupboard for up to six months. 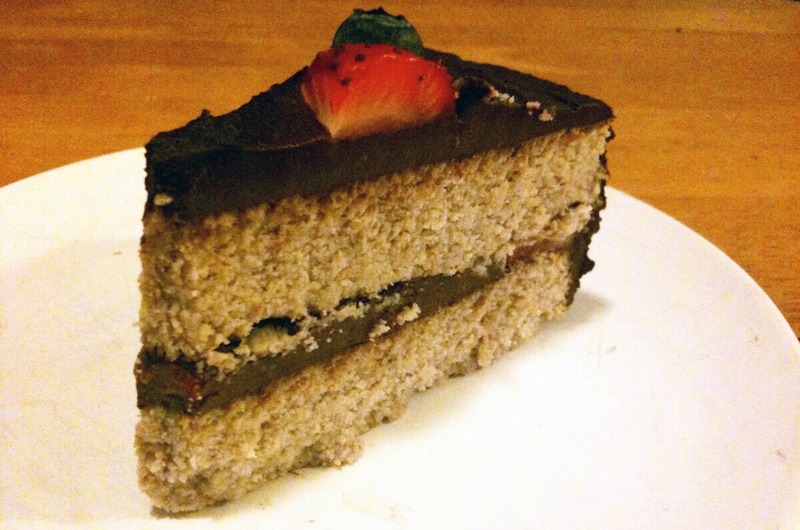 To transform the dry mix into a vegan cake, add oil, almond milk, vanilla and ground flax seeds.